Many of my clients that get married at the Millennium Biltmore in Los Angeles, California love this location for its classic old Hollywood ambiance. The large ballrooms are beautiful with their chandeliers and balconies along with the huge drapes and pillars that give this location its charm. 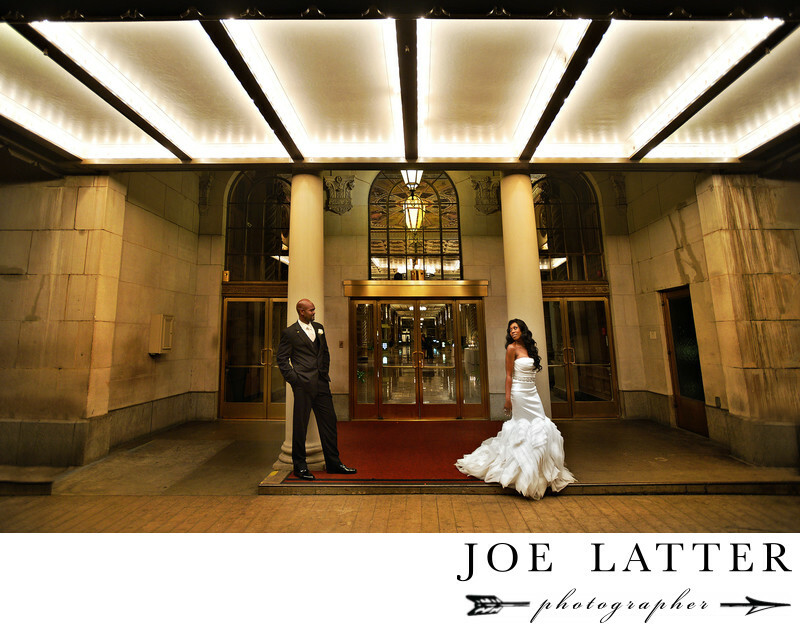 Keir and Shauna were a perfect fit for this location and I love this photo of my African American bride and groom.